We are a bunch of optimists, some of us like codes and numbers, some prefer interfaces and words. But we all agree on the power of empathy to design and craft a user experience. 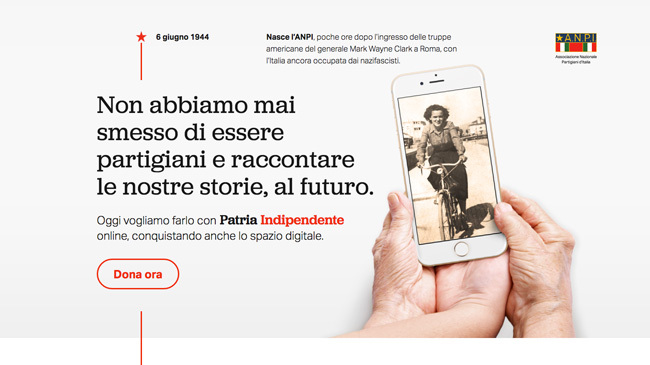 We took the Italian partisans association by the hand towards the digital world, turning their official magazine into an online magazine, founded with a crowdfunding campaign. It’s never too late to learn something new, and their strong will in this challenge is proof. ANPI - Associazione Nazionale Partigiani d'Italia hired us and 5a Design for UX Design, Storytelling, UI Design, Front End, Learning. The crowdfunding platform has been provided by crowdfunding specialists Produzioni Dal Basso. Different places sharing a common story become a long storytelling experience. It’s a journey through one of the most fascinating places in Naples and a stunning story of youth. A great project to learn that change is possible, anywhere. Catacombe di Napoli hired us for UX Design, Storytelling, UI Design, Front End, Development. Silverlake works all over the world scouting for photography talents. They represent a roster of established and rising advertising, fashion and editorial photographers. A like-minded group we feel very close for their work of research and selection. Silverlake Photography, London hired us for UX Design, UI Design, Front End. A new UX for the major Italian sports magazine, designed according to the new way Italians use different channels to keep informed. A new reading experience meant to offer varied topics to users who expect custom information. 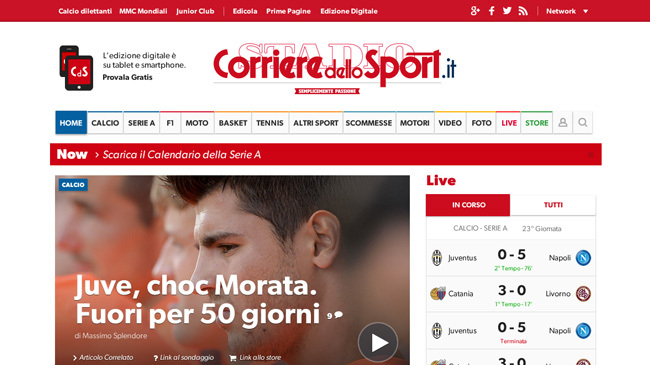 Corriere dello Sport, Rome hired our partner 5a Design and us for User Research, UX Design, UI Design, Front End. The illustrated story of the ethic business model of one of the biggest pasta manufacturers all over Europe. A story about Grano Armando, about how a better and fairer relationship with farmers, a production chain agreement and corporate social responsibility can create the best pasta ever. De Matteis Agroalimentare hired our friends at Roll Studio and us for UI Design, Storytelling, Illustration, Front End. 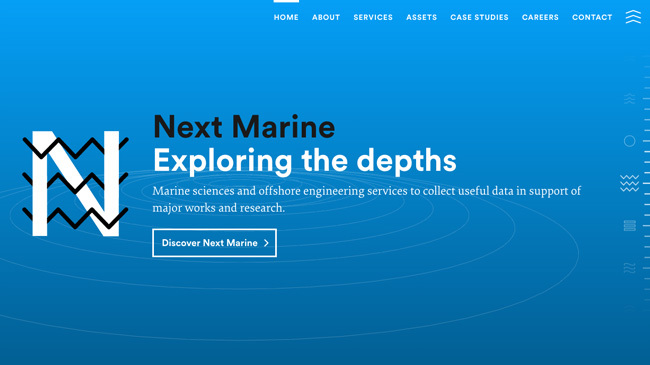 We represented all the complementary experiences working at Next Geosolutions: a multi-talented group of Italian scientists and innovators, working across the Earth with a unique mix of skills, such as geophysics, geology, engineering and archaeology. Based in London and Naples, Next Geosolutions hired us for User Research, Strategy, UX Design, UI Design, Front End, Development. The design challenge in a sports event is to follow its strict timeline. 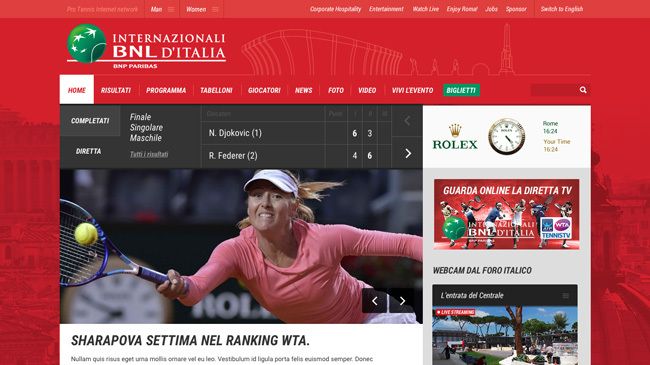 Our partner 5a Design and us have been hired by FIT - Federazione Italiana Tennis, Rome for UX Design, UI Design (app + website), Front End. Questions and answers meet through an instant search. The new UX is a first aid kit to companies in need of help, as Novateam offers optimisation consulting services. We realised we approached one of our long-time Swiss clients with much more self-consciousness than in the past. Novateam, Geneva hired us for UX Design, UI Design, Illustration, Strategy, Front End, Development. 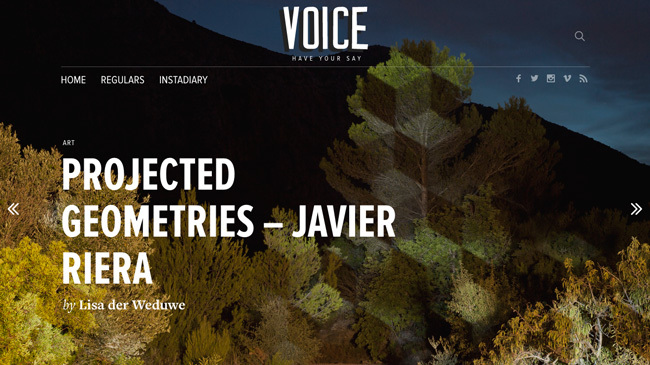 Voice is much more than an arts and trends magazine, it’s an editorial system to connect talents worldwide. Silverlake acts as a link and as a cool hunter, presenting avant-garde talents and artists. Working for Voice confirmed once again our bond with the nice people at Silverlake. Silverlake Photography hired us again for UX/UI Design, Front End. We first met Mohd in 2010, when we launched its first e-shop. Today, Mohd is a must for design lovers. 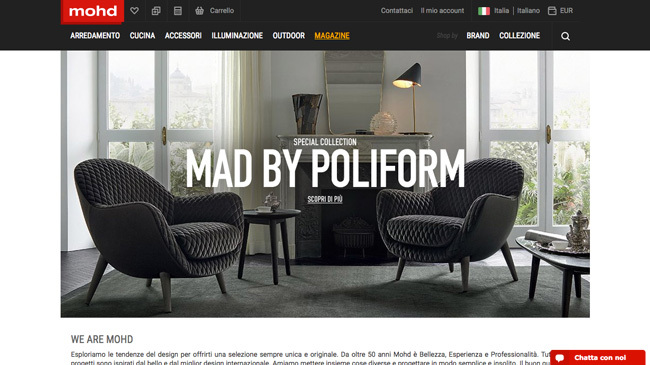 A well established shop in Sicily who has grown to become one of the main online design dealers. We are currently redesigning the whole shopping experience. Mohd, Messina hired us once again for UX Design, UI Design, Front End. The first of our editorial projects for la Repubblica, an Italian newspaper which online version encompasses different theme areas. Being so close with the world of design was key for being chosen. It was our first nationwide relevant work, our epiphany. 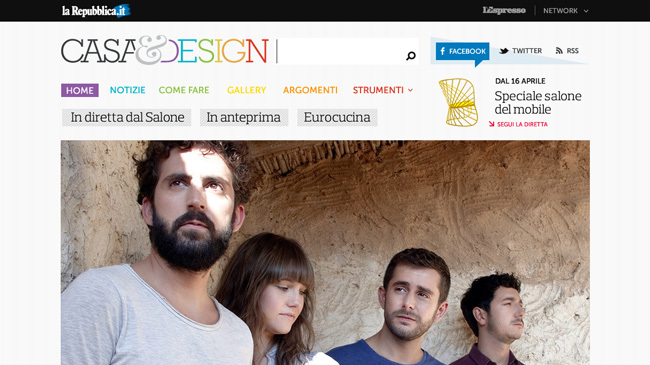 l'Espresso publishing group (Rome) hired us for UI Design and Front End. We are good listeners, we like thinking but we’re makers, we’re architects but our projects can change. We may sound a bit repetitive, because all we do is listen, think, empathise, iterate, test, try again. But it’s the only way we know. We design digital systems where all the environments coexist and create relations that become experiences for those who use them. Divided we’re coders, UX/UI designers, writers, humans. We've been working together for 10 years now and our experiences and a design thinking approach help us keep questions and put answers aside. We believe in co-creation and we like everyone in the project to be involved in the design stage, so we can get a shared vision of their issues and needs. Ciao! Ever been to Naples?